A day after a nation-wide strike called by the Congress and backed by 22 parties in the opposition against rising fuel prices saw mixed response, petrol and diesel rates have set new records on Tuesday. Oil companies have shown no mercy to customers as rising crude prices and falling rupee prompted them to raise the fuel rates again on Tuesday. On Tuesday, a litre of petrol has been priced at Rs 80.87 in New Delhi, Rs 83.75 in Kolkata, a whopping Rs 88.26 in Mumbai and Rs 84.07 in Chennai. A litre of diesel was being retailed at Rs 72.97 in New Delhi, Rs 75.82 in Kolkata, Rs 77.47 in Mumbai and Rs 77.15 in Chennai. Meanwhile, Andhra Pradesh and Rajasthan have announced a reduction in petrol and diesel prices. While in Andhra Pradesh the fuels will be cheaper by Rs 2 per litre, in Rajasthan petrol and diesel will be cheaper by Rs 2.50. While the rates vary from city to city depending on local sales tax or VAT and transportation cost, Delhi has the cheapest price in all metros and most state capital because of lower taxes. 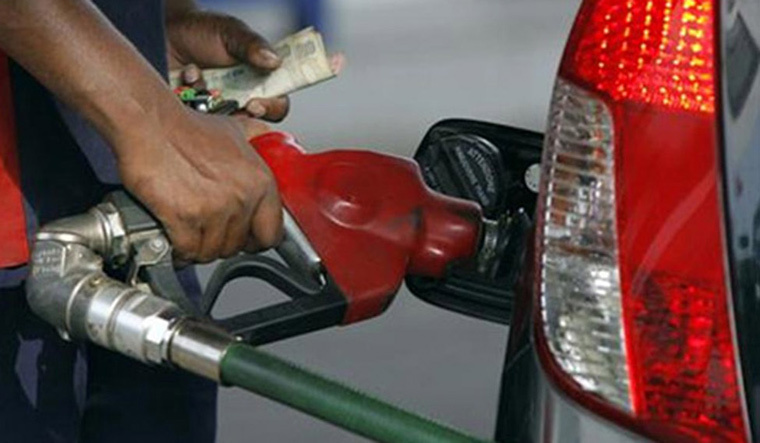 Earlier, the rates had touched a peak of Rs 78.43 per litre in case of petrol and Rs 69.31 a litre for diesel in the national capital on May 29. But soon, the rates fell and a month later, petrol prices were at Rs 75.55 a litre and diesel at Rs 67.38. However, rates began moving up since mid-August after which petrol prices rose by Rs 3.65 a litre and diesel by Rs 4.06 per litre as the rupee hit the record low against the US dollar, making imports costlier.